Legal confrontations begin as Florida's close Senate race moves to treacherous recount territory. As the Senate race between Gov. Rick Scott and Sen. Bill Nelson appears headed to a statewide recount, both candidates are mobilizing teams of lawyers and legal skirmishes are well underway. Thursday dawned with Scott leading Nelson by just more than one-fourth of a percentage point. The candidates for agriculture commissioner are much closer, divided by 0.06 points, and in the contest for governor, Ron DeSantis' advantage of 0.52 over Andrew Gillum was close to the threshold for a mandatory machine recount. In a fierce scramble for votes that's expected to soon intensify, thousands of provisional ballots cast by people who didn't have IDs, or who voted at the wrong precinct, are already the focus of both sides in the Senate race. Both campaigns made demands Wednesday for the names of voters who cast provisional ballots Tuesday. Those demands were swiftly rejected by county election supervisors, who said that the requests by both candidates violated state law and the Florida Constitution. "We are requesting the total number of provisional ballots in Pasco County, and the voter information for these ballots," wrote Grace Albergo, regional political director for Scott's campaign, in an email that other supervisors said that they also received. Absolutely not, Pasco Supervisor Brian Corley responded. "I'm unable to provide any identifying information on those persons who have voted a provisional ballot," Corley told Scott's campaign. 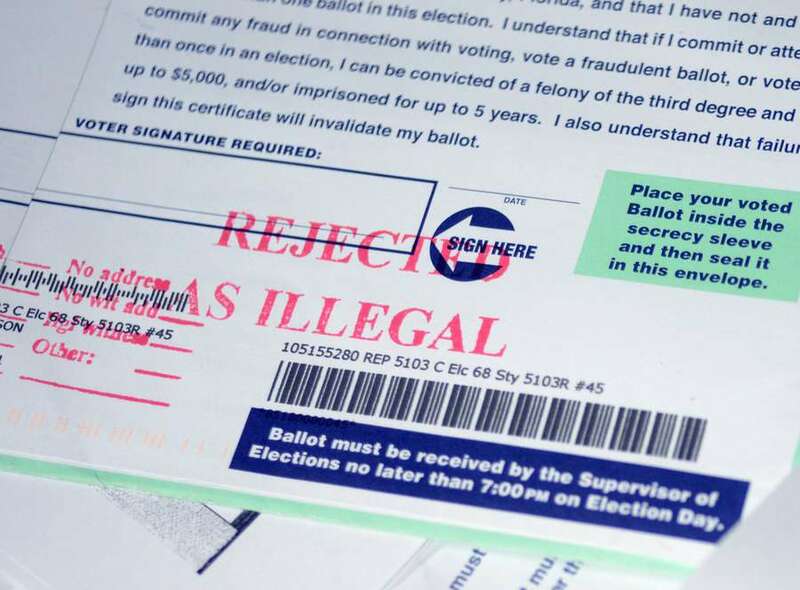 "Doing so could be a violation of 101.048(6), F.S., and Article I, Section 6 of the Florida Constitution (e.g., voters being guaranteed the right to cast a secret ballot). "By releasing information for those who completed a provisional ballot, it may be possible to determine how that individual cast their ballot in specific contests, thereby violating both Florida Statutes and the Florida Constitution with their right to cast a secret ballot," Corley wrote. Pasco, the state's 11th most populous county, had 130 provisional ballots on Tuesday, Corley said. Nelson’s campaign made similar electronic requests that were also quickly rejected by counties. The alert also sought volunteers to help with a likely hand recount of ballots in the race for agriculture commissioner, where Democrat Nikki Fried trails Republican Matt Caldwell by 4,105 votes out of 8 million cast. As of Thursday morning, Scott led Nelson by 21,899 votes or .26 percent of 8.2 million ballots cast, making it likely the closest Senate race in Florida's history, according to the state Division of Elections web site. Marc Elias, a Washington election law expert and member of Nelson's legal team,will brief reporters Thursday on efforts to "aggressively examine and address reports of irregularities," according to Nelson campaign advisory. "We're doing this not just because it's automatic, but we're doing it to win," Elias said in a statement. Thursday at 5 p.m. is the deadline for voters who cast provisional ballots to verify their ID or provide other documentation to county supervisors to ensure that their votes count. County canvassing boards must report their first unofficial returns to the state by noon Saturday. Secretary of State Ken Detzner then will order statewide machine recounts in the Scott-Nelson Senate race; the contest for agriculture commissioner that's much closer; a state Senate race and two House contests, all within the one-half of a percentage point recount. A complete summary of all Florida recount procedures can be found here. A machine recount is simple, Corley said, where completed ballots are fed through ballot counting machines to verify original, unofficial counts. A manual recount will occur if a machine recount shows one candidate is leading by one-fourth of a percentage point or less. A manual recount is vastly more complicated and time-consuming and involves ballot-by-ballot reviews of all under-votes and over-votes. That requires local canvassing board members to interpret voter intent, which was at the heart of the legal battles in the 2000 presidential recount. The highly-decentralized nature of Florida election administration means that a hand recount will be fought out in 67 counties at once, as a second campaign marshals legal and political forces on each side's behalf. As George W. Bush, Al Gore and the world discovered in 2000, it's a short step from there to raucous demonstrations at courthouses, and chants of "Count every vote! Count every vote!" Miami Herald reporter Doug Hanks contributed to this report.